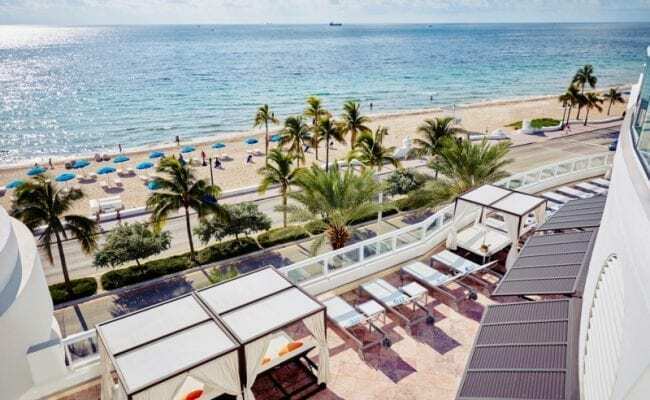 Located on Fort Lauderdale’s North Beach and winner of the Area President’s Award three years running, Hilton Fort Lauderdale Beach Resort in Florida is the perfect location for a refreshing trip. 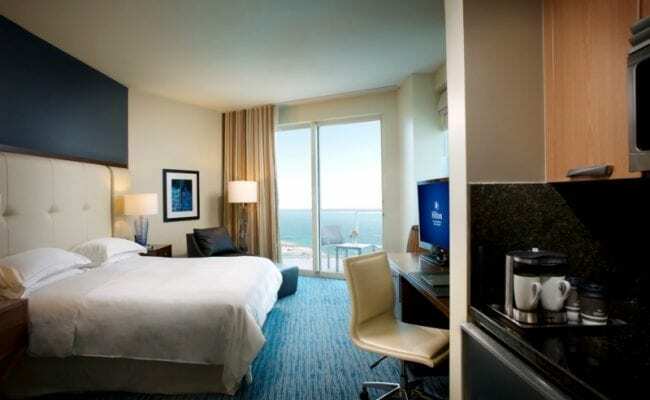 The accommodations at this Fort Lauderdale resort range from beautiful studios with large windows and contemporary decor to spacious three-bedrooms. 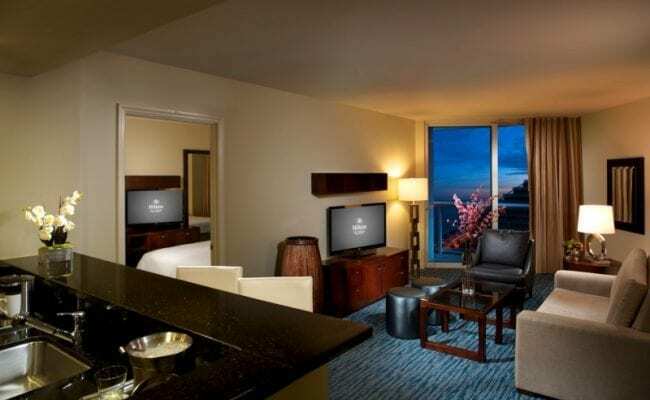 All suites offer magnificent views of the Atlantic Ocean and Fort Lauderdale skyline, as well as modern amenities such as flat-screen TVs. Relax in the deep soaking whirlpool tub in your suite’s Italian marble bathroom, or swim a few laps in the resort’s heated outdoor swimming pool. 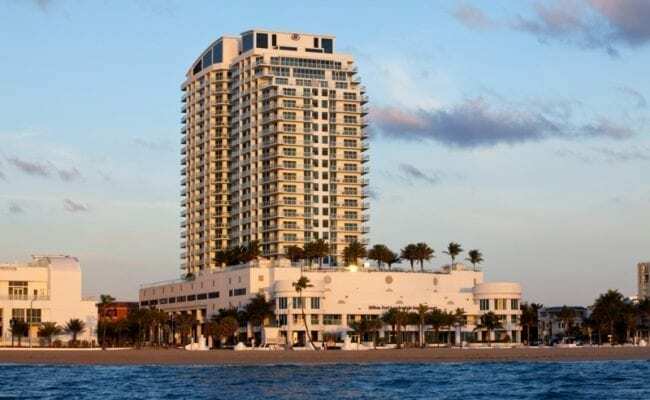 Our hotel, the first in Fort Lauderdale Beach to be awarded a Florida Green Lodging Designation, has installed rooftop wind turbines to conserve energy and protect the environment. Take a break at Spa Q, and rejuvenate with a facial, massage, or nail treatment. Work out in the resort’s fitness center, equipped with free weights and cardio machines. 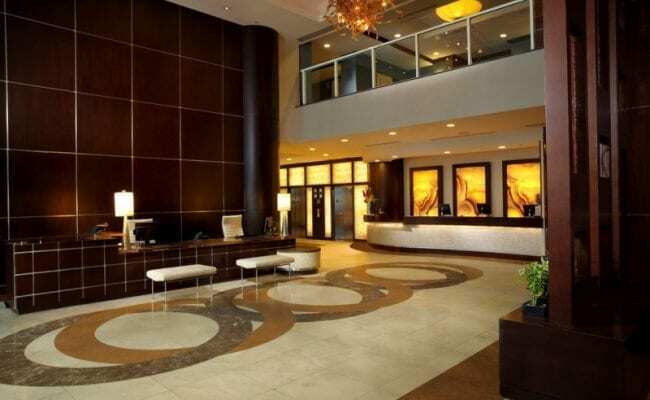 Just 6 miles north of Fort Lauderdale International Airport and 3 miles from the Convention Center, the resort is also well-situated for business travelers. Keep up with work in the resort’s business center, and hold meetings and special events in our 10,000 sq. ft. of meeting space. Enjoy the European flavors at ilios Restaurant, serving Mediterranean cuisine with a Floridian twist, or simply relax in Le Marché Gourmet Market and Bakery with freshly made pastries, pizza, panini, salads, and Starbucks Coffee®. Relax overlooking the beach at BalQony, this adults-only hideaway is a chic, sophisticated lounge and event venue serving craft beverages. Want more? Head to S3 for oceanfront dining and indulge in steak, sushi and seafood.